Everything You Need To Make Fresh Homemade Cheese! Wanna make your own cheese? This Cheese Maker Kit has you covered. All you need is some fresh milk and acidic ingredients (like lemon). No need to add salt to your cheese. Natural flavor and texture, making your own cheese is healthier, basic ingredients: fresh milk and an acid. 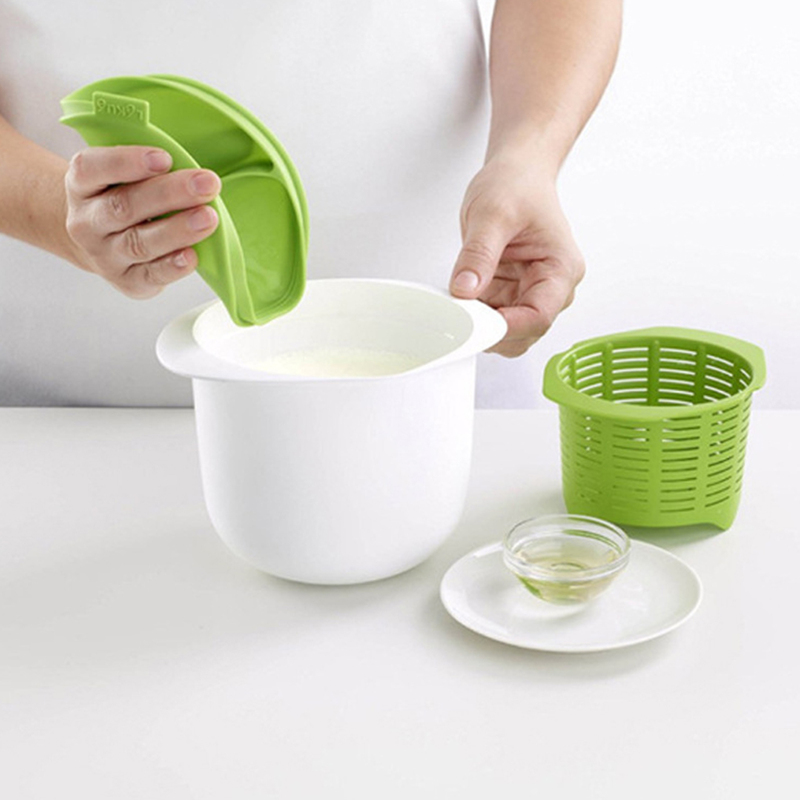 SUPER FAST PROCESS: it only requires 15 minutes of cooking, Home DIY fresh cheese maker, perfect for microwave oven, refrigerator. The Cheese Maker Kit demonstrates that making cheese at home is not only possible, but it is also very easy, fast and fun. Natural flavor and texture, you do not need to add salt healthy: Fresh cheese has less fat. To make the cheese there are two options, the first is to add lemon or vinegar to the milk, the other is to add natural yogurt. Heat the mixture in the microwave 12-14 minutes at 800W (90C/194F) and the milk separates. Leave the mixture to cool for 30 minutes then add salt or sugar to taste and pour into the strainer letting the whey drain away. Put the strainer back into the bowl and refrigerate for at least an hour, then you can turn the cheese out onto a plate. And You're Done! You'll Have Healthy & Freshly Made Cheese!